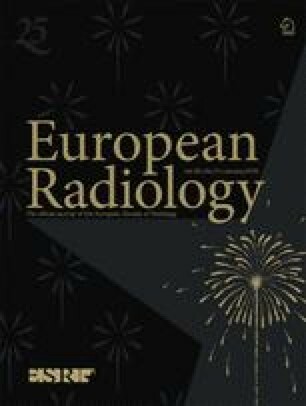 To retrospectively evaluate the safety of computed tomography (CT) fluoroscopy-guided short hook wire placement for video-assisted thoracoscopic surgery and the risk factors for pneumothorax associated with this procedure. We analyzed 267 short hook wire placements for 267 pulmonary lesions (mean diameter, 9.9 mm). Multiple variables related to the patients, lesions, and procedures were assessed to determine the risk factors for pneumothorax. Complications (219 grade 1 and 4 grade 2 adverse events) occurred in 196 procedures. No grade 3 or above adverse events were observed. Univariate analysis revealed increased vital capacity (odds ratio [OR], 1.518; P = 0.021), lower lobe lesion (OR, 2.343; P = 0.001), solid lesion (OR, 1.845; P = 0.014), prone positioning (OR, 1.793; P = 0.021), transfissural approach (OR, 11.941; P = 0.017), and longer procedure time (OR, 1.036; P = 0.038) were significant predictors of pneumothorax. Multivariate analysis revealed only the transfissural approach (OR, 12.171; P = 0.018) and a longer procedure time (OR, 1.048; P = 0.012) as significant independent predictors. Complications related to CT fluoroscopy-guided preoperative short hook wire placement often occurred, but all complications were minor. A transfissural approach and longer procedure time were significant independent predictors of pneumothorax. • Complications related to CT fluoroscopy-guided preoperative short hook wire placement often occur. • Complications are usually minor and asymptomatic. • A transfissural approach and longer procedure time are significant independent predictors of pneumothorax. The scientific guarantor of this publication is Prof. Susumu Kanazawa. The authors of this manuscript declare no relationships with any companies whose products or services may be related to the subject matter of the article. The authors state that this work has not received any funding. No complex statistical methods were necessary for this paper. Institutional Review Board approval was obtained. Written informed consent was waived by the Institutional Review Board. Two hundred thirty-eight and three of the 267 procedures evaluated in this study were used as a comparison group and a failure group, respectively, in our previous publication: "Simultaneous Multiple Preoperative Localizations of Small Pulmonary Lesions Using a Short Hook Wire and Suture System," published online on December 3, 2014 in CardioVascular and Interventional Radiology (DOI: 10.1007/s00270-104-1028-5). Methodology: retrospective, diagnostic or prognostic study, performed at one institution.